The fortunes of the present Andhra Pradesh Chief Minister Chandrababu Naidu have seen many ups and downs. Earlier lauded as a development superhero, who had changed the face of modern Andhra Pradesh, Chandrababu's Telugu Desam Party (TDP) got a drubbing in the 2004 assembly elections and he had to stay out of power for 10 long years. However, following the bifurcation of Andhra Pradesh, he bounced back to power in the 2014 assembly elections, becoming the first CM of Andhra Pradesh post bifurcation. 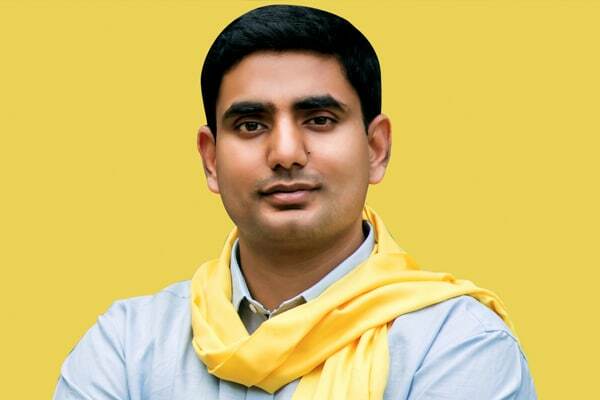 Even as Chandrababu continues to stay a popular figure in Andhra Pradesh politics, now all the eyes are set on Chandrababu's 34-year-old son Nara Lokesh Naidu. Lokesh Naidu was inducted into TDP in 2013 and currently, he is the Cabinet Minister for Infomation Technology, Panchayati Raj and Rural Development in Andhra assembly. While on the whole Chandrababu has been a huge success in Andhra politics, it remains to be seen whether his son Lokesh Naidu will live up to peoples' expectations. But what are you thinking about your career? Buy the Career Prospects Report and find out. By inheritance, Lokesh Naidu is way above an average politician. He is the son of several times CM of Andhra Pradesh, Chandrababu Naidu and the grandson of the illustrious politician, the late N T Rama Rao. Besides, apart from being a cabinet minister in Andhra assembly, Lokesh Naidu also heads TDP's youth wing. These parameters have increased expectations from this young leader. What are your expectations from your business? Get the 2017 Business Report & meet your desired goals. Lokesh Naidu has a few significant developments to his credit so far. He helped TDP develop the Cash Transfer Scheme for their manifesto in the 2009 elections. The TDP proposal was criticised by Congress, but Lokesh Naidu claimed in January 2013 that Rahul Gandhi and Congress' later development of the Direct Benefit Transfer System was derived from the TDP proposal. Are you concerned about your financial prospects? Get the 2017 Finance Report to know your favorable & unfavorable time frames. The question doing the rounds now is whether he will succeed in politics, whether he will be able to work with the same charisma as his father or grandfather. Ganesha has found that even though Lokesh Naidu may continue to enjoy recognition in Andhra Pradesh politics, he may not be able to make the mark in the 2019 assembly elections. The question: As per the planetary movements, how will be the leadership of Lokesh Naidu in TDP, how will be his political future and whether he will deliver success in the 2019 elections? As per the given time, the derived predictions are based on the KP Horary Chart. If the sub-lord of the 10th house is the dispositor in the 10th (recognition), 3rd (capability), 11th (recognition as a successful person) houses, and if these situations are in the Bhukti Antara, then it implies success in politics. Jupiter is in his 10th cusp, Jupiter is in the second house and is the lord of the 5th and 8th houses. Jupiter is in Mars, in the 10th house and is the lord of the 4th and 9th house. The sub-lord of Lokesh Naidu's 10th cusp is the dispositor in the 10th house, so it means good times in politics. Thus, the significant position of Lokesh Naidu in Andhra Pradesh politics is here to stay. He will continue to enjoy his clout and will work on building his skills. Rahu is the sub-lord of the 10th cusp. Rahu is residing in the seventh house and Rahu is representing Mars and Mars is residing the 4th house and is the lord of the third and tenth house. Rahu is in Ketu region. Ketu is residing in the first house and is representing Saturn. So, Saturn is residing in the 11th house and is the lord of first and second houses. There are no planets in the region of Saturn and so Saturn is the dispositor of 6th and 12th cusps. The sub-lord of the 10th cusp Rahu becomes the dispositor of the 10th house (recognition), third house (capability), 11th house (recognition as a successful person), so Lokesh's competitor may get recognition in politics. As the sub-lord of the 10th cusp Jupiter is the dispositor of his 10th house (recognition), so Lokesh will maintain respect and recognition in politics.As for Lokesh Naidu's competitor, the sub-lord of the 10th house, Rahu is the dispositor of 10th house (recognition), third house (capability) and 11th house (recognition as a successful person), so his competitor too will maintain recognition in politics. Lokesh Naidu's competitor is in a stronger position than Lokesh Naidu as the sub-lord of his competitor's 10th cusp is the dispositor in three houses (10, 3 and 11) while in the case of Lokesh Naidu the sub-lord of the 10th cusp is the dispositor in 10th house. The period till 21/12/ 2017 will be good for Lokesh Naidu. 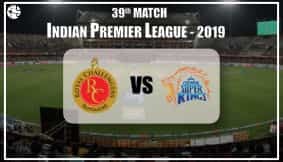 However, in the period thereafter, including 2019 (the election year), Ganesha does not see success in his life and his competitor will be in a stronger position.